Hey guys! It's a new week and a new milestone! If you don't know what it is yet, Kat's Anime Corner has hit over 1000 views! I was so excited when I saw that! I just cannot believe how popular this damn blog has become. Not even 1 year and it has gone this far. Thank you. That is all I can say, thank you. Now I have a good blog for you this week. What can I say about this well beloved series. A lot. There is no end to the information I could give you about this series. Now I know what you are probably thinking. “How can she review a series that hasn’t ended yet?” Well, for this review I am strictly sticking the original 175 episode series. 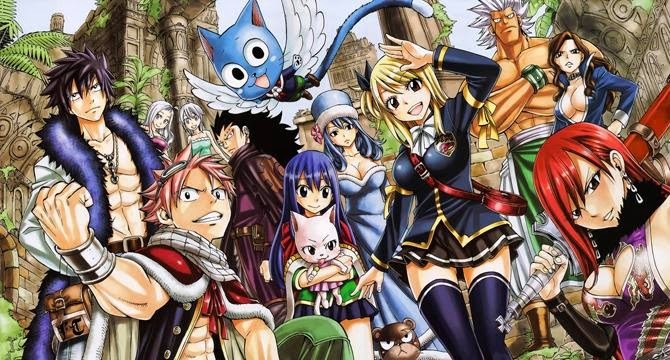 Fairy Tail series 2 review will be at a later date when that series is finally over, just like the manga review will be done when it is all over (and I finish reading it). Let’s get started! 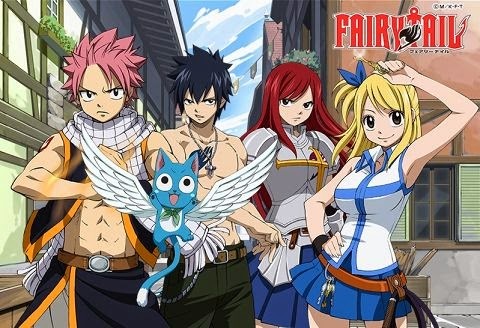 I first started Fairy Tail on Netflix, so obviously I watched it in English. I mean duh, why wouldn’t I? 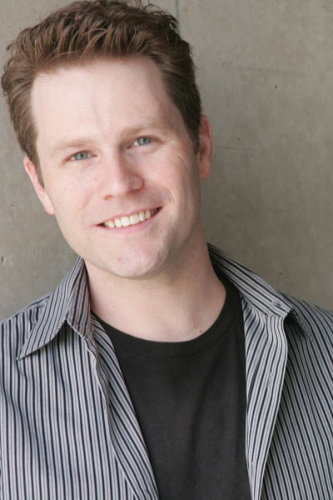 Todd voices Natsu. So let’s start by discussing the voice cast. I love both the English and Japanese cast. There really isn’t a bad thing I have to say about either. 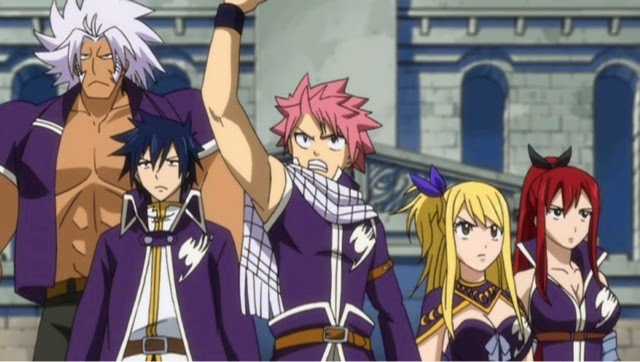 So yeah, I only offered up the roles of team Natsu (no I don’t count Gajeel as part of Team Nastu though some do). Plus I had to mention the wonderful Terri Doty. Clearly they made a great selection for voice actors, in both English and Japanese. The ones with <3 are the ones that I absolutely love!! No offense to the others, these just so happen to be among my top favorite voice actors. I can’t wait to see who Funimation casts for Rogue and Sting! I hope I love them just as much. So let’s talk my loves for a second. 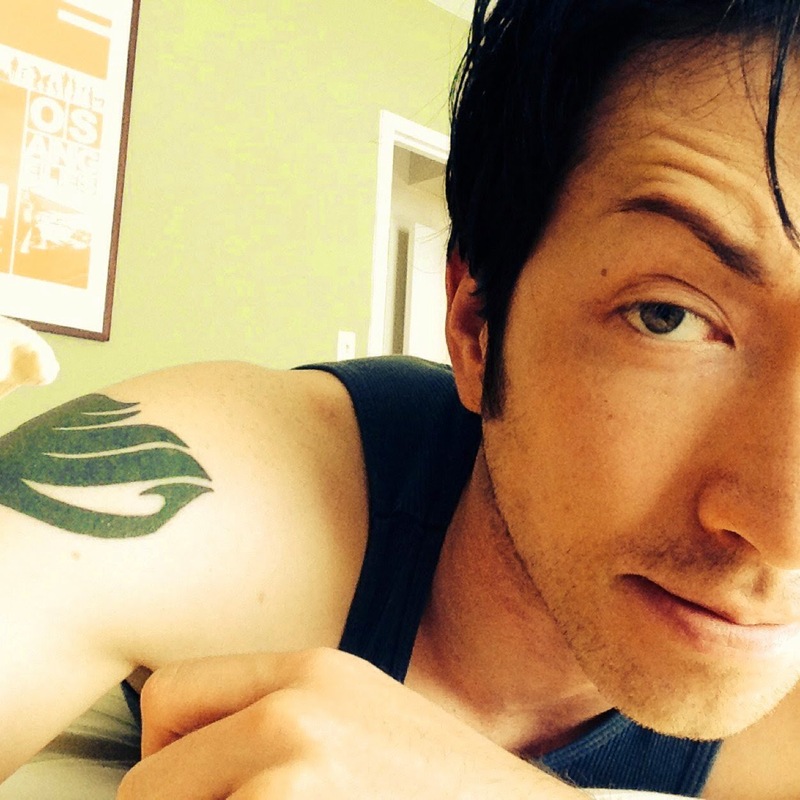 Todd Haberkorn and Tetsuya Kakihara. If you haven’t figured it out yet, I absolutely love these two. Todd, well, do I really need to go into that again? 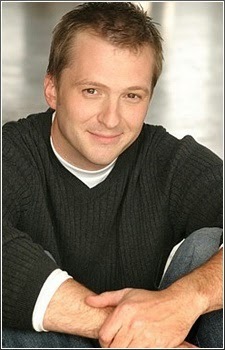 I think my love for this man has been professed a few times. WAIT can I say something exciting?? 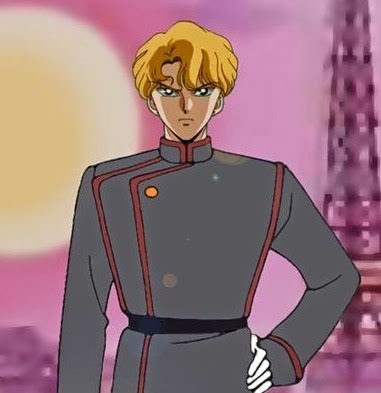 (Totally unrelated to FT btw) Todd is going to voice the first villain Jadeite from the new VizMedia English Dub of Sailor Moon! My childhood is melding with my new anime obsession by bringing Sailor Moon, Todd Haberkorn, & Johnny Yong Bosch all together. Eeek! 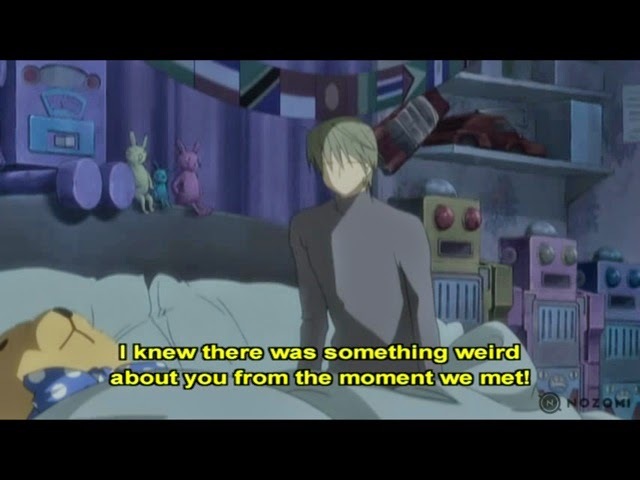 …okay fangirl moment over. 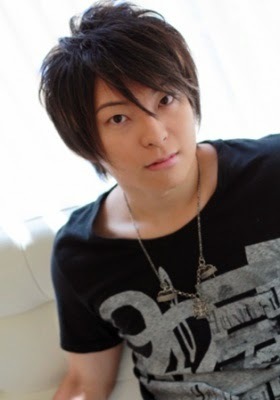 Now, Tetsuya Kakihara, I fell in love with his voice when I stumbled across a little series called Hakkenden. If you don’t remember I listed this is my top 10 anime favorites. 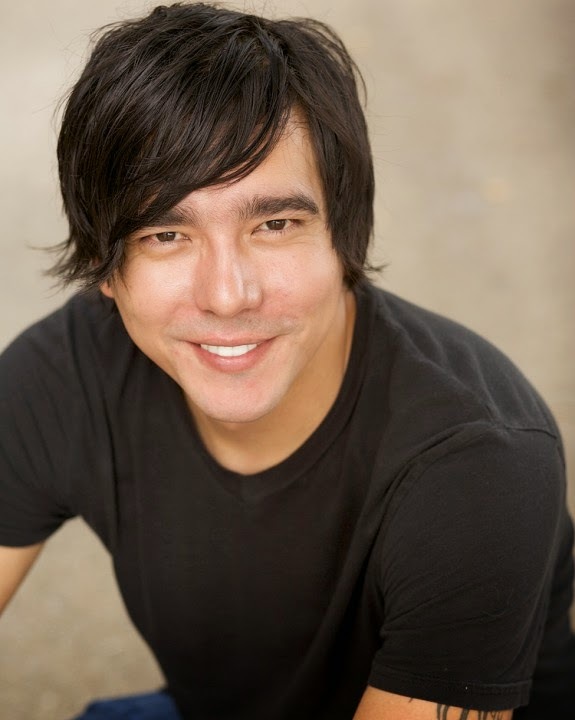 Yuichi Nakamura is a new one to me as I have seen him in only Broken Blade (which is a great movie series) and Guilty Crown (which is a series I deliberately quit watching with only a few episodes left, I’ll explain this at a later date). 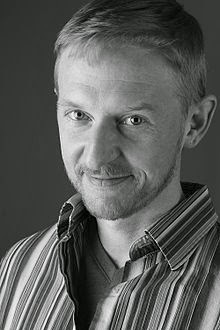 Now, Newton Pittman was a voice from one of my first anime (I don’t think I ever mentioned that Phantom was a series I had watched right at the beginning) as the voice of Reiji aka Zwei. When I heard him speak as Gray…*swoon* Be still my heart. I loved it! 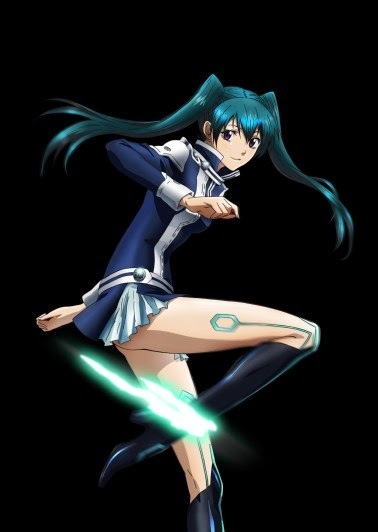 Sayaka Ohara is only familiar to me because of her role as Masaki from Bleach, but she has an amazing voice. The reason I love it? 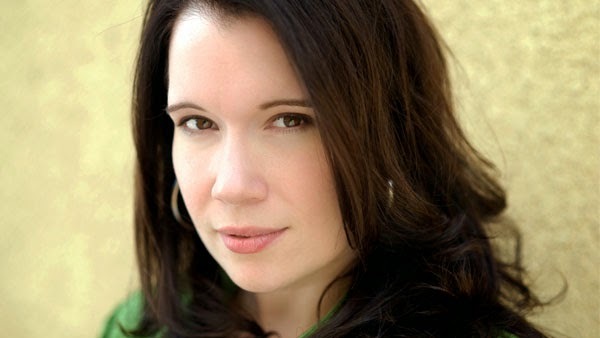 Colleen Clinkenbeard did a great job matching Sayaka Ohara’s Erza voice with her own! So one without the other cannot be mentioned (Plus they seem to play similar roles). Now The Clinkenbeard is a God (well Goddess if you want to get technical) in the Voice Acting world. She is praised by her fellow actors as well as her fans. 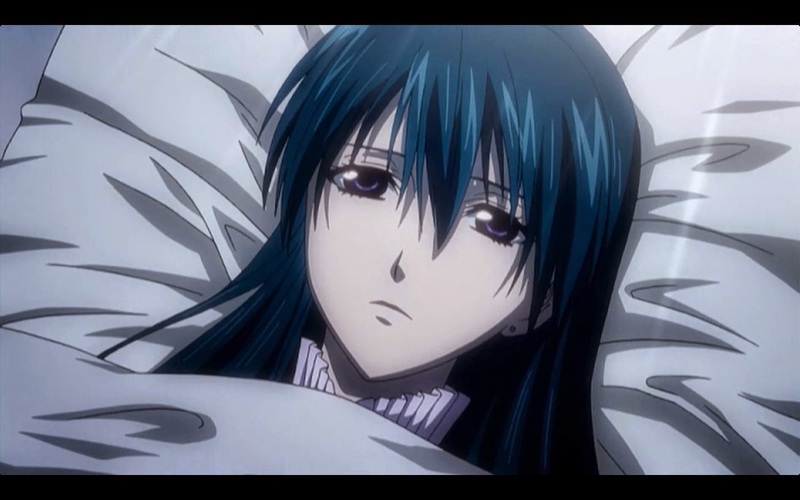 She is the reason (well her and Eric Vale) that I even watch One Piece. 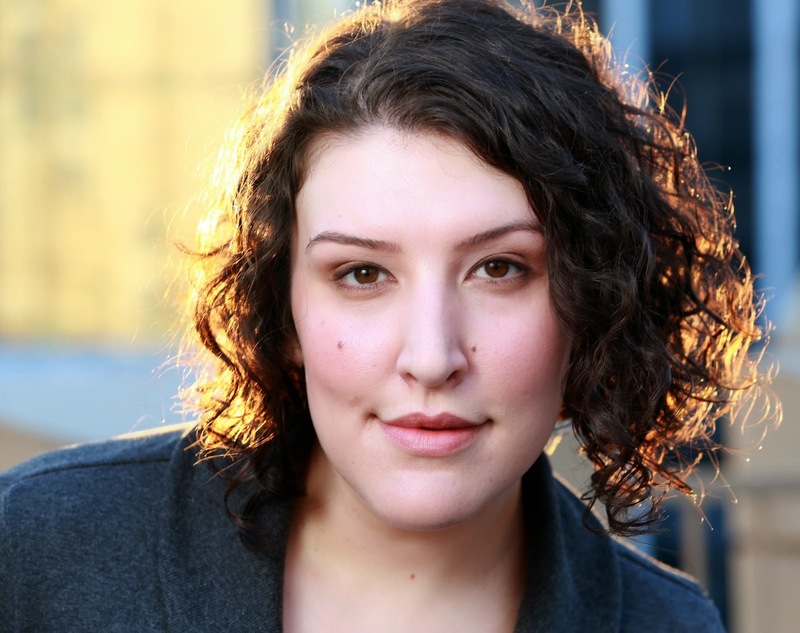 Next up is the amazing Jamie Marchi who, while I didn’t list her roles she is known for, I love. I just started watching High School DxD and she voices Rias. 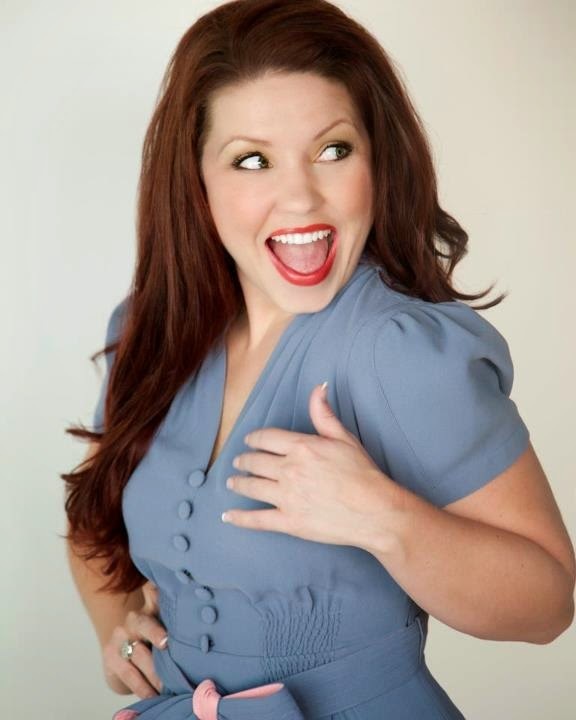 Holy crap do I love this woman’s voice! It is almost to the point that I would put her up there with Colleen, Terri, and Cherami (that’s a high praise just so you know). So we have finally arrived at the point of no return. The amazing duo. Voicing three different yet the same characters is Daisuke Namikawa and Robert McCollum. 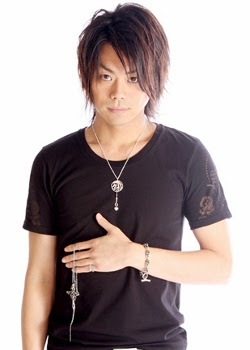 Daisuke Namikawa is known for Mikage from 07-Ghost, Italy from Hetalia, Ulquiorra Cifer from Bleach, Shrade from Aquarion EVOL (sound familiar), Yuichi from Hiiro no Kakera, and Yashiro/Weismann from K.
Now Robert, he is a voice to be reckoned with. 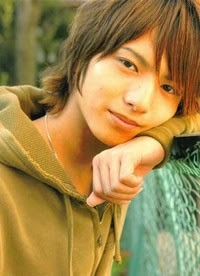 *sighs* While he has done a lot of work he will forever be known to me as Kazuma Yagami from Kaze no Stigma. Even my little sister knows his voice (and whenever she hears it she has to say “Eyes blue as the azure sky”…it’s kind of annoying). So much love for Rob. This next duo. 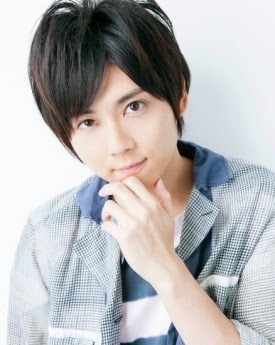 Well if you haven’t learned by now Yuki Kaji is probably my FAVORITE Japanese voice actor. His voice is amazing. If you want to see what he has been in go and see like every other post on this blog cause it’s probably there. Lol. Well that is it. 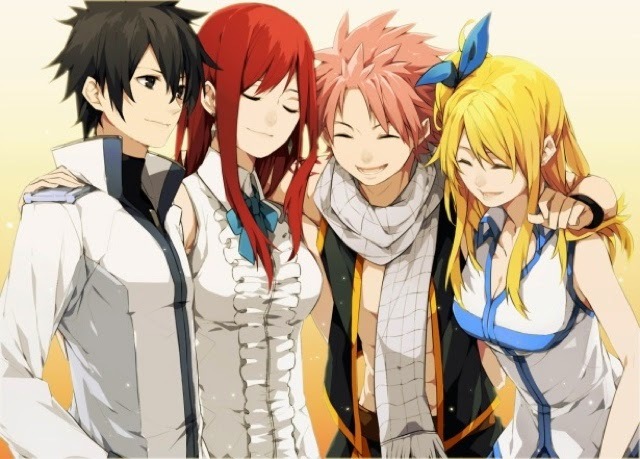 As you can see, Fairy Tail has a wide range of seasoned voice actors and I only touched on my favorites! Now not only is Fairy Tail filled with amazing voices, it is also a place of excellent music. Naruto Shippuden composer Takanashi Yasuharu is the composer for Fairy Tail. He does an amazing job by bringing a Celtic feel to the show. Plus he drops in several well know pieces like Pom and Circumstance (for those who don't speak music that is the Graduation song). Not only is it the score of the show but also the opening and ending music as well. 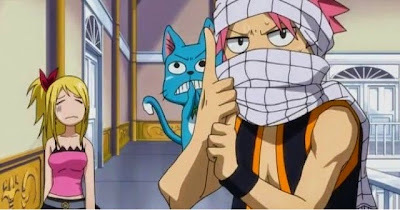 I have two absolute favorites for Fairy Tail series 1. Funnily enough both songs are from the second season of the show. My favorite opening is “The Rock City Boy” by Jamil and my favorite ending is “Be as One” by winds. The Rock City Boy is the 8th opening which was featured during the Edolas arc of the show. 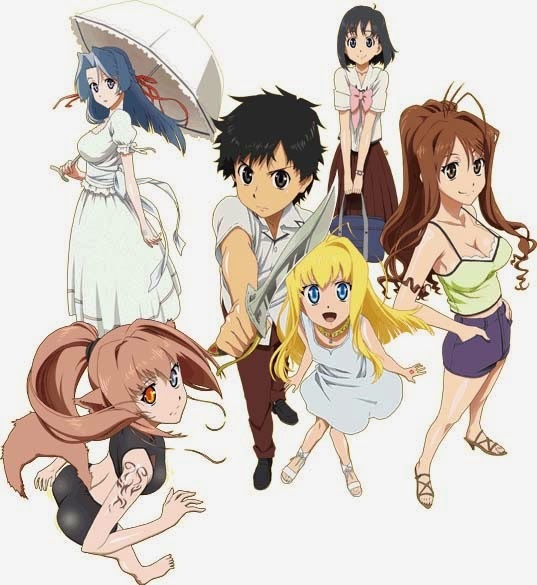 Be as One is what I like to call “Gray’s Ending” as it features Gray throughout the entirety of the 6th ending and is featured during the Oracion Seis arc of the show. This song is actually available for purchase on iTunes (so obviously I bought it). Now I am not saying that the rest of the songs are bad, these two just happened to stick out to me. I’m not going to list all the songs (there are 14 opening credits alone) but you are free to watch the show and determine which one you like best. 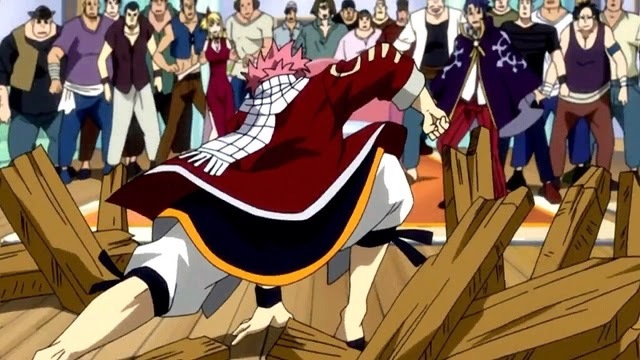 Since I have already mentioned two of them, let’s discuss arcs of Fairy Tail. As I haven’t read the manga yet (I literally am still on chapter one), I don’t know which arcs are anime only and which are a part of the actual story. Now this information comes from the Fairy Tail Wikia page because I wanted to be 100% accurate in the review, so any issues you can find, please let me know so I can change them. 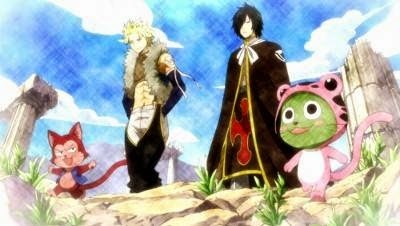 My personal favorite arcs are the Loke arc, the Tower of Heaven arc, the Fighting Festival arc, the Edolas arc, and the Grand Magic Game arc. There is just something about those that just eek. Okay so I know what a part of it is. Hot guys. 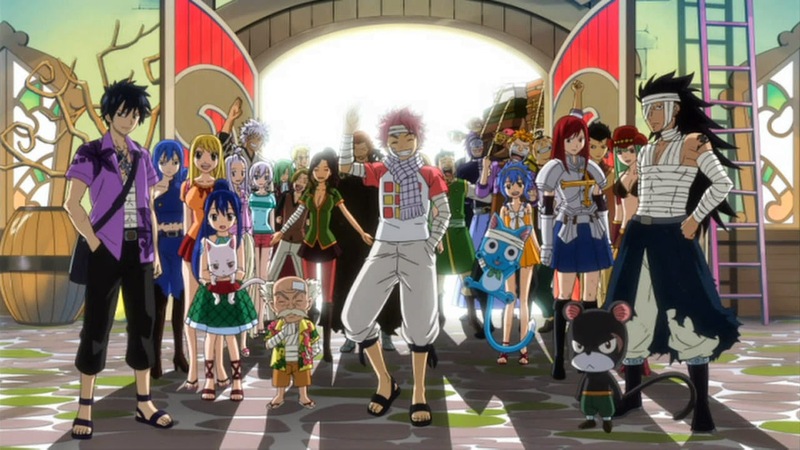 Loke, Jellal, Laxus, Mystogan, Alzack, Gray, Freed, Sting, Rogue…oh man I could go on forever with this. For the most part there is a lot of consistency within the episodes. Even if there are multiple arcs, the show references each of the arcs as needed. That is something that I love. While I love shows that wrap up within a few episodes (by that I mean a regular show of 12/13 episodes), there is something about these longer anime that draw me in. For that I raise a glass to this show for holding it’s own amongst very strong contenders (One Piece, Naruto, etc.). 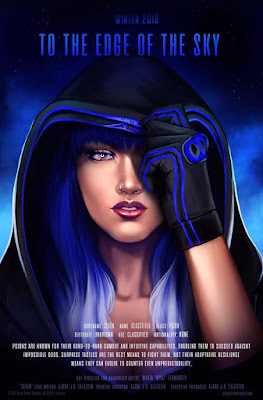 My overall review of this show is that it is a strong series with so much potential and not enough hype, but it is getting there as it is a new series compared to the others. 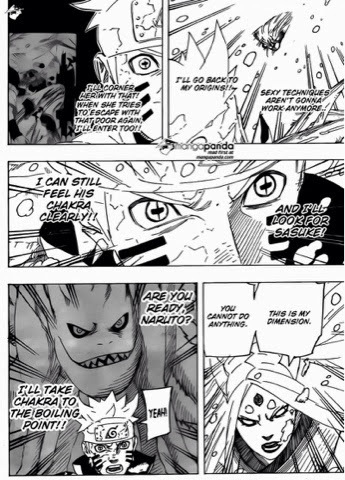 The manga started in 2006 and the anime started in 2009 <- this is 2 years later than Naruto Shippuden. I have no doubt in my mind that this show is going to make it huge and take over because it has it all. It doesn’t focus on just one part of the fantasy genre, it pretty much takes the cake. (Plus who doesn’t love ninja Natsu). The characters aren’t too shabby either and each has their own development within the show while not really taking away from the storyline. Everyone has their own individuality that is deeply expressed and the friendships that are shown just astounds me. This show really pulls all the stops and can live up to the potential of an amazing series. 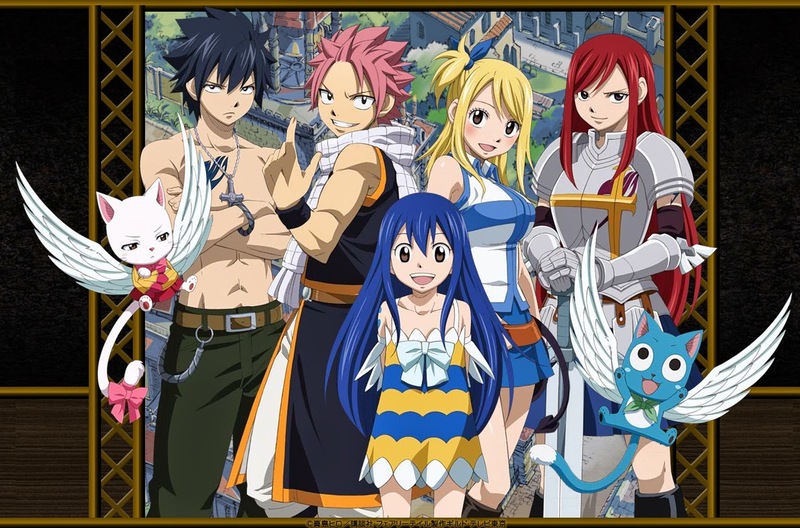 What are your thoughts on Fairy Tail? Love it? Hate it? I hope my review was suitable as I was trying really hard to not talk too much about the actual story because I don’t want to spoil it. So I just wanted to touch on the parts that I could talk about. Let me know in the comments, or on Twitter and Facebook. This last week went by in a blur. Before I knew it, it was Friday and I was back at work. My mind was focused on the fact that school was starting soon and that I had this review to write that I just did no feel like researching a lot for this next portion. So instead of talking about all the anime out there that have dragons, I will recommend the anime that I have seen that have dragons in them. I loved each of these shows and highly suggest you watch them. 1. 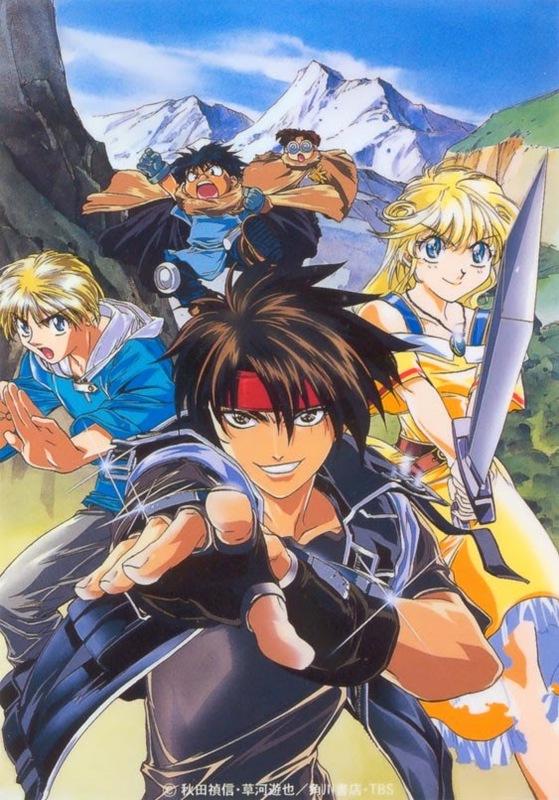 Orphen - this show is from the late 90's and is about this man named Orphen. I absolutely loved this show and was sad when Netflix took it down so that I couldn't finish the series as it has a second season. I watched it in English and enjoyed the cast immensely. 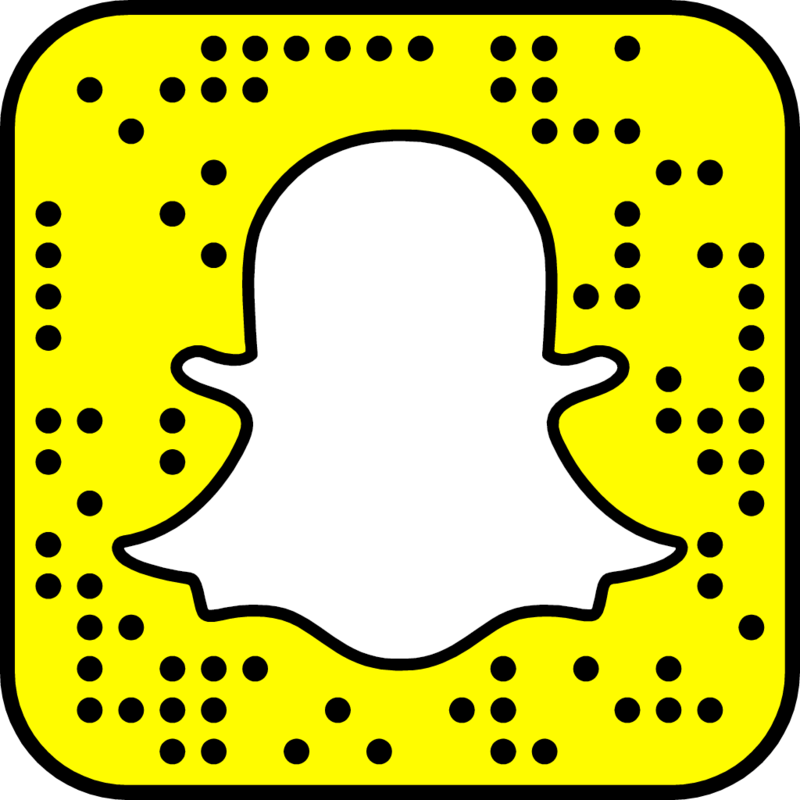 You should check it out. 2. Dragon Crisis - this was a new show that I had watched it is from 2011 I believe. It's about a boy named Ryuji and a dragon named Rose. The story is pretty much their love story and their struggle against the society that wants to keep them apart. 3. Dragonar Academy - this show was a part of the Spring 2014 line up and a funny show. I loved it and would definitely recommend watching it. I won't say too much about it because some people still haven't finished the Spring shows, so just watch it. 4. 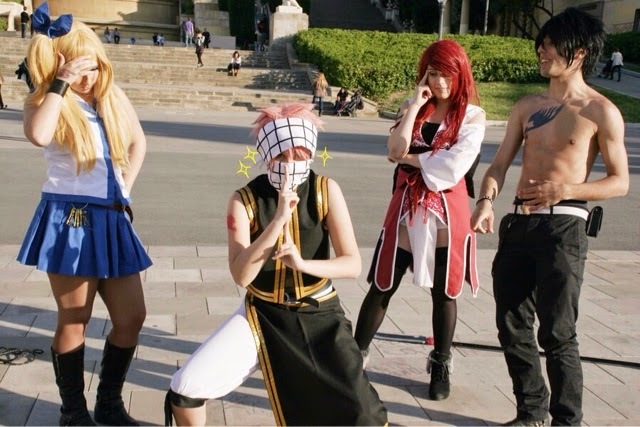 Fairy Tail - did you think I wouldn't bring it up? Yep, a big part of this show is the fact that 7 years prior to the story all the dragons of the world just up and disappeared. The dragon slayers who were trained by the dragons are looking for them. Plus dragons pop up a lot in the various arcs of the show. I cannot wait for the dragons to once again appear. So these are the shows (that I can think of) that I have seen with dragons in them. I love dragons so very much. What is your favorite show with dragons? Is there a show you think I should watch that contains dragons? Let me know. Okay so next I have the character of the week. I highly apologize for the fact that I didn't post hint this week on Instagram and Tumblr but as I said before I was busy. 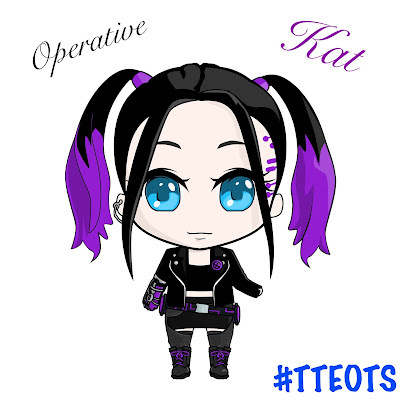 She is a sixteen year old Exorcist of the Black Order. 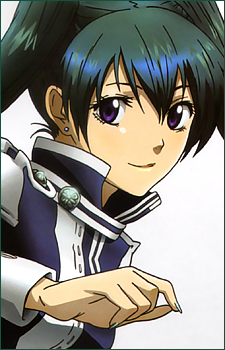 She is a close friend of Allen Walker the main character and there is even speculation that the two have feelings for each other. She is the owner of the Innocence known as Dark Boots. She is also the "heart" of the Black Order HQ and the object of the Asia Branch's director's affection. Her strength grows with each addition of a new friend as well as when she loses friends. Out of everything, she wants to become strong so she never loses someone again. 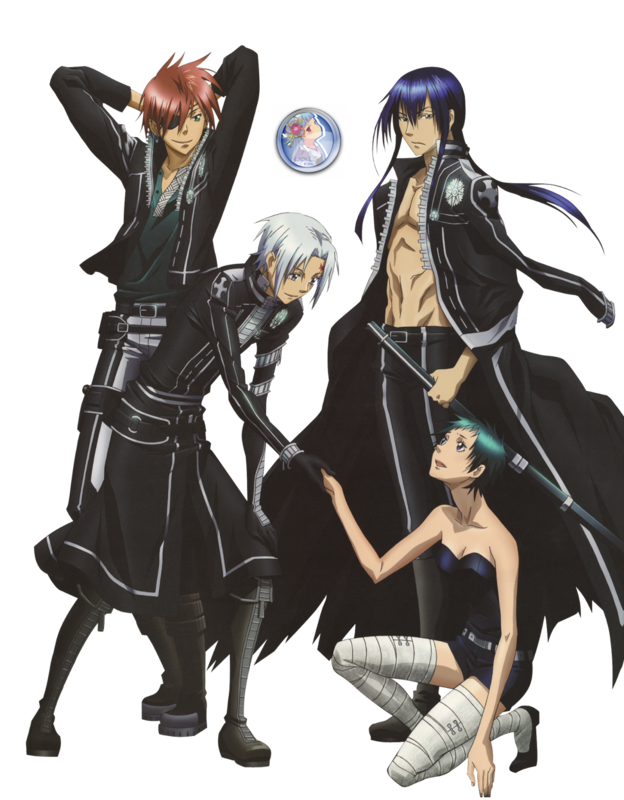 Her closest people are: her brother Komui Lee, Yu Kanda, Lavi, Allen Walker, Krory, and Miranda Lotto. Overall, she is a strong person and an amazing friend. So that kind of sucked. I had so much I wanted to say about her, but the words just didn't want to come out. What is your opinion of Lenalee? Do you like her or hate her? Who do you want to see as a Character of the Week? Let me know via Twitter, Tumblr, or Facebook or even in the comments below. I will take requests into consideration and who knows maybe you'll see your character featured here. That is it for this week. Next up is a review of Naruto and Bleach's new chapters, so I bid those of you farewell that aren't up to date on the manga. For those who are up to date. Welcome! 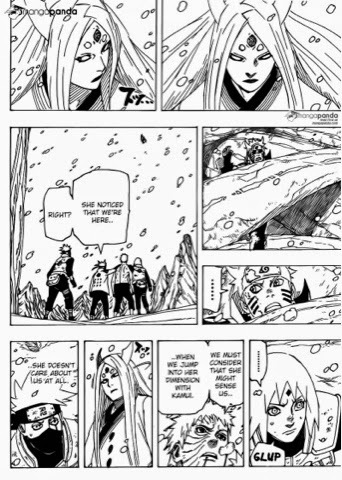 Sakura, Naruto, Obito, and Kakashi are planning an attack against the hag as well as planning to save Sasuke from wherever he had been sent. 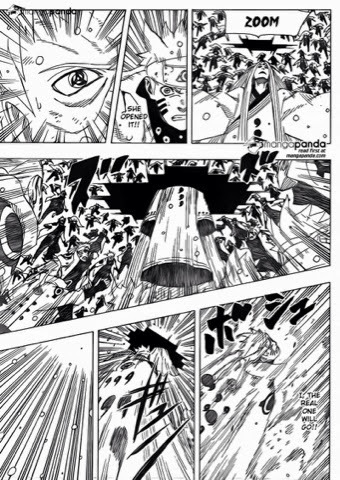 Naruto uses combination attacks with the Biju as well as planning an attack that "goes back to his origins". Throwing a Kairiki Musou at her to distract her he unleashes his most known move. Kagebunshin no Jutsu. 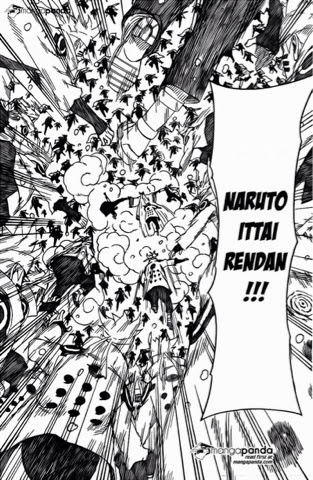 Using his clones he then unleashes (probably my favorite attack in the Naruto games) U-zu-ma-ki Naruto Ittai Rendan. 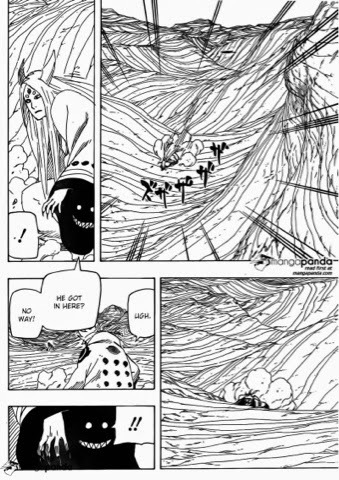 All of this was so that he could force her to travel into dimensions so that Obito could connect his Kamui to her dimension. Because Naruto followed her, she decides to kill her. Unfortunately for her, this was a distraction so that Obito and Sakura can find Sasuke while Kakashi is sent on a special mission. They have done it, the quincy are now planning their attack on the Soul Kingdom. Calling forth some soldiers they march forth to attack. 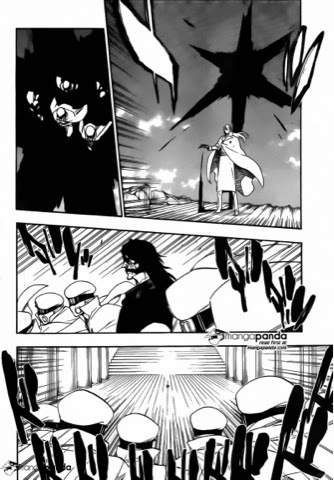 Tenjirou Kirinji steps forth then to stop their attack and fights against A. 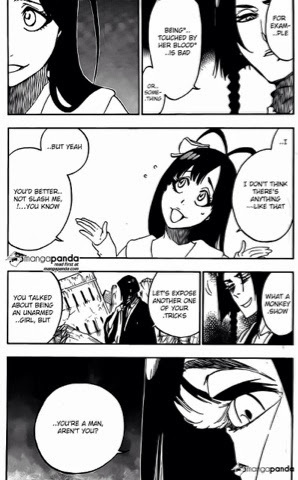 Back in the soul society Ikkaku and Yumichika are up against a girl who is "provoking the" and Yumichika asks if she is actually a man. 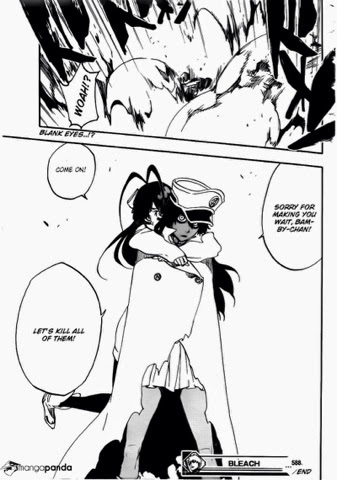 She is then joined by "Bamby-chan" and orders her to kill them all. Yeah, I am so not sure about these latest Bleach captors. 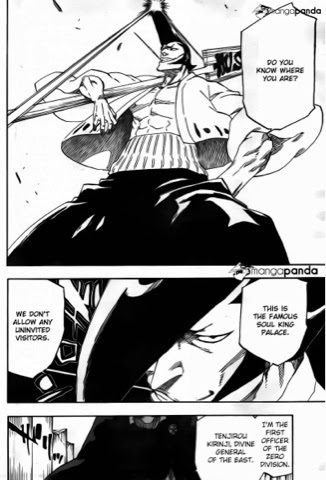 I think Tite Kubo has WAYYY too much going on and it almost seems like there is no end in sight. What are your thoughts on these newest chapters? Let me know, we can talk about it. So that is it for this week. I hope I can stay on schedule with school starting up on Tuesday. Hope you all enjoy your week.